The gory details of the destruction of net neutrality in the states have not been fully revealed yet, but Pai has fired the starting pistol. Net neutrality rules created by the FCC’s 2015 Open Internet Order would appear to be living on borrowed time, as FCC Chairman Ajit Pai delivered a speech full of political rhetoric, slight exaggerations and emotive language to signal the beginning of the end. “Earlier today, I shared with my fellow Commissioners a proposal to reverse the mistake of Title II and return to the light-touch regulatory framework that served our nation so well during the Clinton Administration, the Bush Administration, and the first six years of the Obama Administration,” said Pai. To say that Pai is not a fan of the current net neutrality set up would be somewhat of an understatement. The proposed changes would see rules go back to what Pai describes as ‘light-touch’ regulation, similar to that set in place by President Bill Clinton in 1996. This approach, according to Pai, was a hands off, grow as you like style of management, which puts commercial entities firmly in the driving seat. The move to erase Tom Wheeler’s legacy has been in the works for some time, and despite some pretty strong resistance throughout the states, there does appear to little which can be done to hold back the growing tide. So what are the basic elements of this Notice of Proposed Rulemaking? Firstly, to return the classification of broadband service from a Title II telecommunications service to a Title I information service. This will return the industry to the more hands-off regulation prior to Wheeler’s rules. Secondly, the Internet conduct standard will be removed, drastically reducing the influence of the FCC over the telco industry, and pave the way for more zero-rating offers. Finally, a consultation on how to approach bright-line rules. This in itself is a complicated and potentially controversial area, which could had significant powers to the ISPs. The rules dictate the blocking, throttling and paid prioritization for the delivery of internet traffic to the consumer. It is the corner stone of creating a two-tiered internet, with the ISPs potentially making fortunes by holding OTTs to ransom. Full details of the plan will be released in due course, and while the whole process does seem to be inevitable, it isn’t going to be easy for Pai. The democrats will be gearing up for a fight, as will numerous busy body associations across the states. It will slow the process down, but let’s be honest with ourselves, it isn’t going to change the outcome. The way American politics works is essentially driven by the desires of the President. Trump, Pai and the rest of the Republican party want to see the end of the Open Internet Order, so that’s probably what’s going to happen. 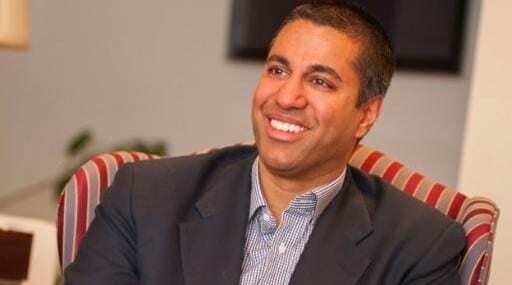 “When the FCC rammed through the Title II Order two years ago, I expressed hope that we would look back at that vote ‘as an aberration, a temporary deviation from the bipartisan path that ha[d] served us so well.’ And I voiced my confidence that the Title II Order’s days were already numbered,” said Pai. “Annihilation”…clickbait much? Chairman Pai’s plan is simply a different – and more sensible – legal foundation. Net neutrality is nothing but an empty slogan, but the FCC will leave it on the books so as not to rile the unwashed masses.